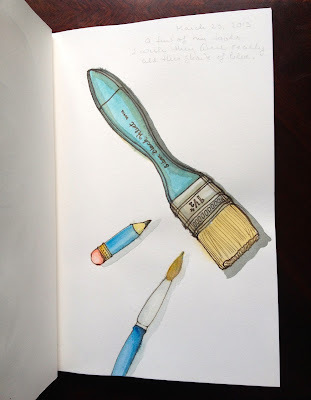 I thought I would paint my tools. Only I made them blue. They are not blue at all; I only wish they were. But that's the beauty of art, isn't it? You can make things the way you want to see them. They lurk everywhere. In my satchel, on my nightstand, in my car, under the sofa, on a shelf, the kitchen table, next to the bathtub, tucked into the hollow of a tree near my table in the woods, and hiding in places I may not ever discover again. 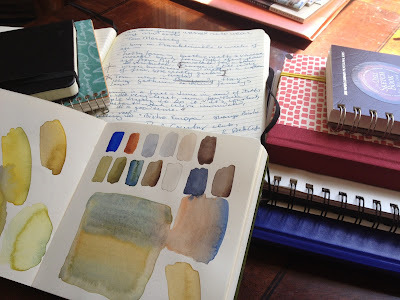 My notebooks are plentiful, some warped and full from use, some with only a few pages written on. I even have notebooks that people have given to me as gifts that I worry are just too pretty to use. The ones I do use are utilitarian and, quite frankly, a mess. 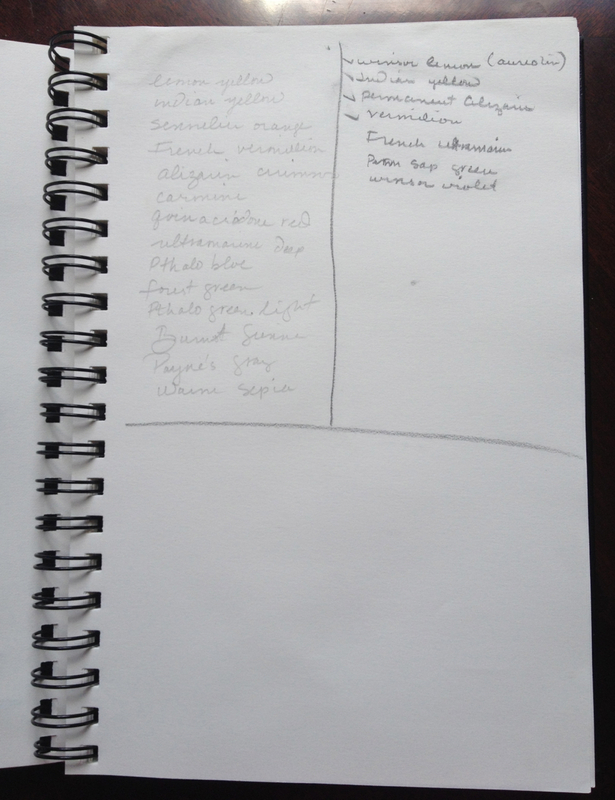 I begin with the best of plans, one notebook for watercolour swatches, one for the seeds of poems. I bought one specifically for notes to myself, reminders of appointments and phone numbers and grocery lists, but when things get real there is no rhyme or reason. Every notebook contains my whole world. I grab the nearest to where I am and off I go. Notebooks help me work out my thoughts, remember them, and even keep a record of paintings or stories. I can look into them when I need grist for the mill. or look back on them when I need to remember that, yes, I do actually get things done. 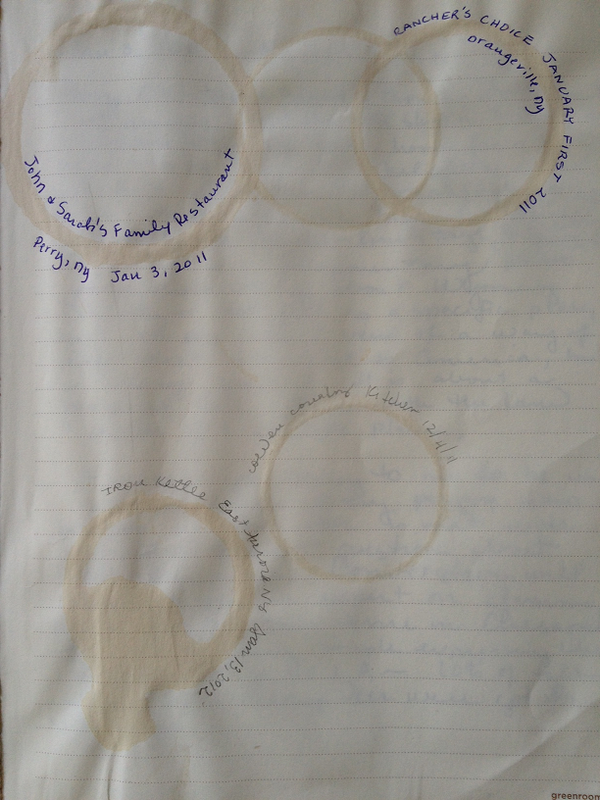 Here are some pages from three notebooks that I have been using most over the past few months. Nothing very interesting, but important to me. You may click to enlarge the images. swatches of the colours I will use to paint her. Colour swatches for a ruby-throated hummingbird commission. 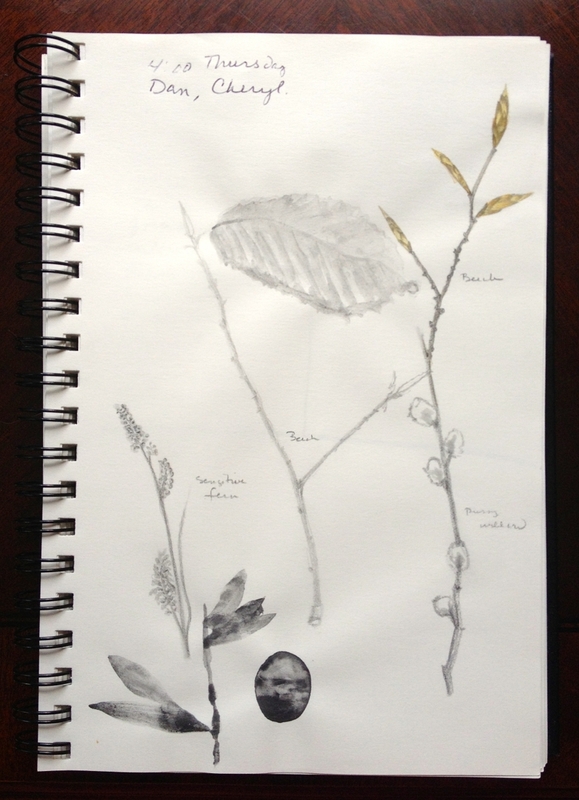 Pencil drawings of some twigs and leaves I brought in from my morning walk. treasures brought inside from my woods. Watercolour and coloured pencil sketch of a fairy tale mushroom. 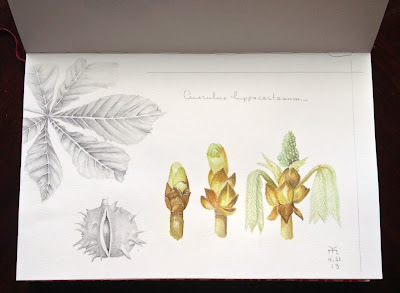 Pencil and watercolour study of parts of the horse chestnut tree. 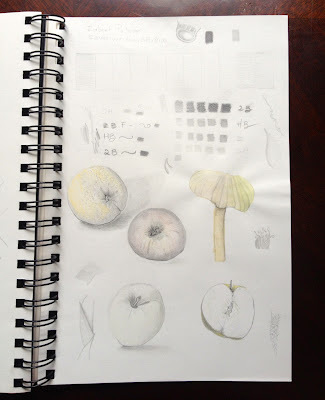 Apples and oranges and value swatches of new pencils I bought. 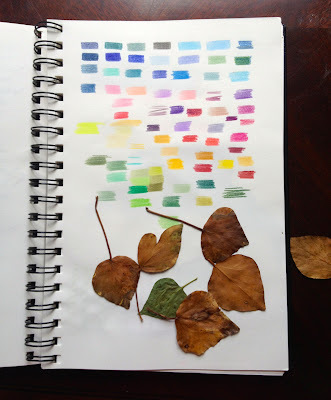 Coloured pencil swatches and a bunch of leaves I found on my patio table. Names of watercolour paints I wanted to buy. Like a wish list. wiping the coffee off the bottom of my diner mugs. It also reminds me of where I have been. 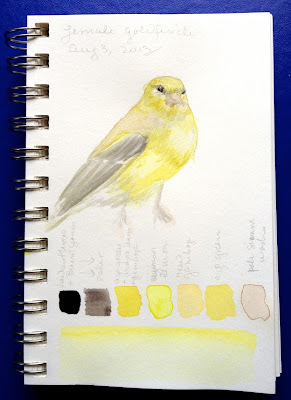 Kateri Ewing is a self-taught watercolourist who specialises in the songbirds and flora of Western New York. 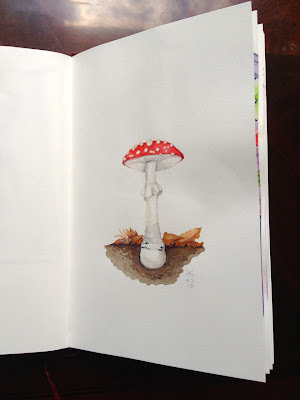 Visit on the web at www.kateriewing.com or find her on Facebook at Kateri Ewing - Watercolours. 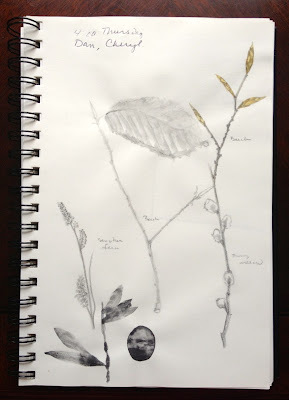 Kateri has been a writer long before she became a artist. You can sample her weekly eZine, Unweaving the Nest, at www.unweavingthenest.com. 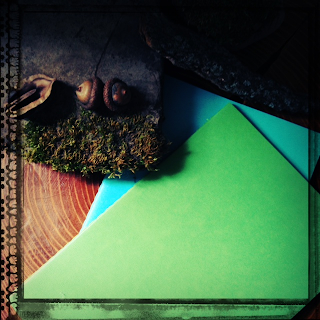 Kateri has generously offered a giveaway of two notebooks for a commenter on this post. Please leave a comment by August 16th to be entered into this drawing. I will draw a name on the 16th! Thank you, Kateri! 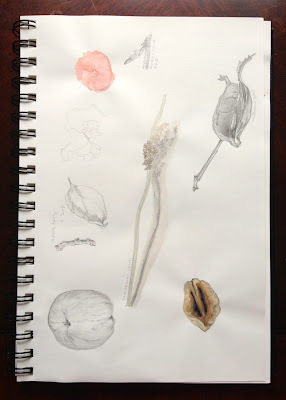 I love seeing other notebooks, & especially those artist's sketches of natural objects. 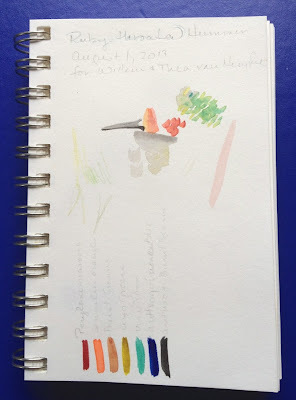 Your page examples are beautiful, & inspiration for those of us who dabble & are having fun keeping track of things through sketches and words. Thanks for the ideas from your work, Kateri, and to Amy for hosting. 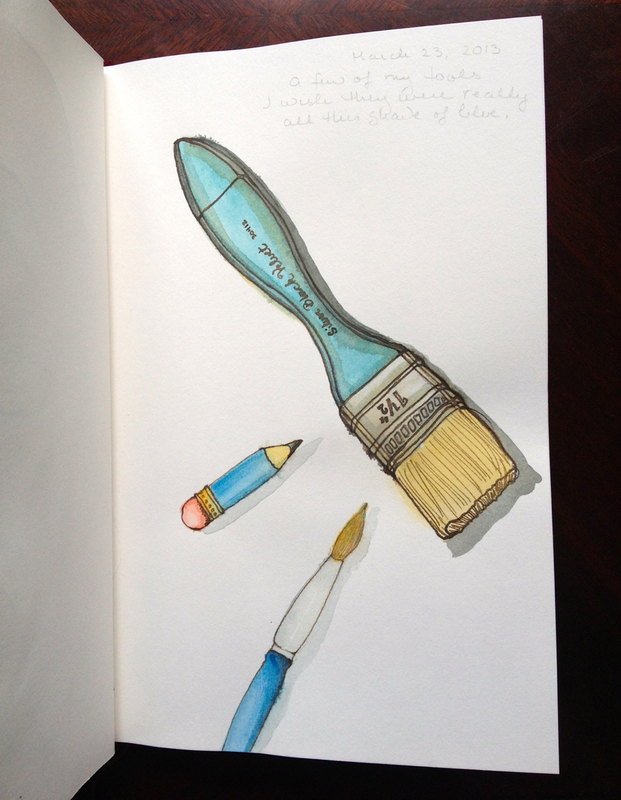 Don't add me to the drawing-I have plenty of notebooks! I love your artwork! I never use my notebooks to draw even though i wish i did more especially seeing yours! i also like that you have many notebooks. I usually only have one at a time. Thank you for sharing!! What inspiration to share with our students. So many of them are artists and having a notebook to place their work is perfect. I think of Ralph Fletcher's book: Guy-Write and the importance of collecting artifacts for our notebooks. Such a wonderful blog! I am certainly going to share this with my own students as well. I love the way notebooks can reflect our thought in so many creative ways. Drawing, writing, planning, or just simple reminders of things we don't want to forget. Lately, my own get used as pages of "To Do" lists and morsels of notes of things I want/need to remember. Thank you ladies for sharing!! I laughed out loud when I read the sentence about not using notebooks people have given as gifts because they're too pretty -- I do that too! 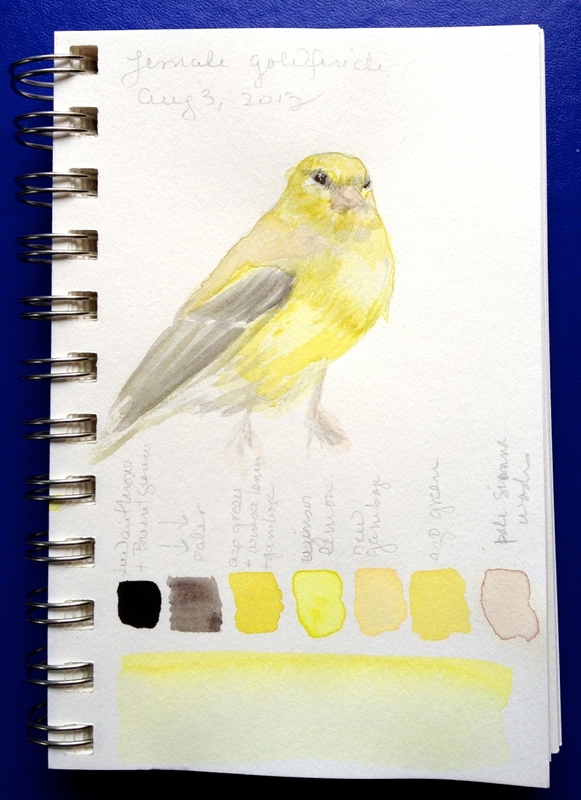 Your goldfinch is lovely. Perfectly captured! These are wonderful notebooks. I love the mushroom - and the coffee mug rings! Gonna have to remember that one. Like you, Kateri, I had best intentions of using notebooks for specific purposes... only to do same: grab closest one.